Gadgets Download – The #1 Stop for Gadgets! Windows desktop gadgets are great for tracking important information. People use them because they provide valuable and very useful information. Today there are numerous gadgets coming with great features and variety of options. If you want to cut some time searching for most popular and best desktop gadgets, then you are at the right place. 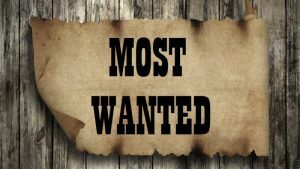 The following are the currently most wanted Windows desktop gadgets for you to use. Activity Tracker is popular gadget that is very easy and simple to use. It provides you with information regarding the time you have spent on working on certain task. In simple words, it functions as a punch-card system. Whenever you start a task just click IN and when you are done click OUT. The gadget will track the exact time spent on working and you can get some nicely detailed graphs that can be exported to Excel. Atom and RSS News Reader is a gadget that will keep you informed about all your important and favorite news feeds. You can easily modify its appearance and select how often you want the feeds to be refreshed. Switching between different news feeds is done easily just by clicking on the arrows on the top side of the desktop gadget. Facebook Explorer is one of the most wanted Windows desktop gadgets because there are millions of users of this social media platform. If you are devoted Facebook user then you will love this gadget. Install it and just click to connect. Then the gadget will let you update your status, check out different Facebook events and notifications, keeps you informed about the Facebook activity of your friends, and you can even Like photos and pages or post comments directly from the gadget. System Control allows you to easily control and command things to your computer system from one control panel. You can shut down, restart, log-off or switch computer users through the panel. This is a very good gadget if you want to control everything in your computer from one place. Twadget is a very popular gadget designed for Twitter users. With this gadget you can post on Twitter and get alerted for updates directly to your desktop. It is very easy to use and all you need to do is just type in your Twitter handle and that is it. Weather Center keeps you updated about the weather in very sophisticated and detailed manner. This gadget provides you with all important weather data such as air pressure, humidity, precipitation, temperature, and it forecasts weather for up to nine days in advance. Xirrus Wi-Fi Monitor is excellent gadget for laptop users. You can easily manage wireless internet networks, check out which ones are available and see the strength of their signal. This gadget can also be used for disabling the network adapter and it displays some very interesting usage statistics. It is customizable app that will give you valuable information regarding everything relating to wireless internet networks. Today you have some very good options when it comes to desktop gadgets, despite Microsoft removing and replacing them with apps from Windows Store. Computer users love gadgets because they help them with different things and their popularity is very high. Now you can still download them and freely use them if you get them by third-party vendors. 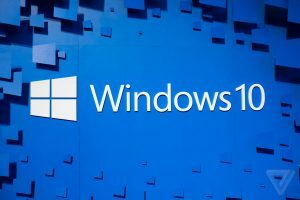 The following are the best Windows 10 desktop gadgets for you to download and use them whenever you need them. All of them come with some helpful options, so choose those that you believe will help you most. The choice is huge when it comes to which gadgets to download, but these are labeled the best. Install the most necessary gadgets first and then check out and get the others if possible. All of these come with wide variety of options and allows you check out many different things, so you will not make a mistake whichever you choose to use. Avedesk is one of the basic, yet top programs to get for your Windows 10 desktop screen. All icons on your desktop will be well-organized and will come with helpful plug-ins that will allow you to multitask. Basically, with Avedesk you will have many shortcuts that will allow you to quickly access all necessary and important gadgets like organizer, email, calculator, etc. App Launcher is one of the best user-friendly widgets you can find online. It functions like a bar for launching and all you need to do is drag the gadgets or apps you need to the desktop screen. It is free and very easy to use, so you will benefit a lot if you get it. Gadgets Revived will let you obtain those gadgets you need the most. First you need to download the installer and with it you can then select all those gadgets that you require. Essential gadgets are grouped in over dozen different categories, so you can get some useful gadgets that can help you for your everyday work. Margu-Notebook Info 2 is ideal for multitasking. With it you can do several things at once, monitor computer battery, network strength, RAM usage and many other things. Network Meter is one of the most used gadgets in the world because it allows people to get detailed reports about their online connection. You can check your download speed and see other connectivity issues. 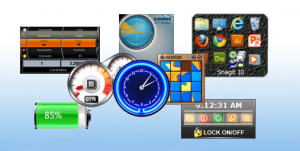 8GadgetPack lets you get the most common apps for your system. Some gadgets included in this pack include Reminder, Drives and CPU Meter, Currency, Clipboard and others. Win10Widgets will meet your needs including battery, Wi-Fi connection and music. With it you can also adjust your screen size and customize wallpapers. All gadgets are coordinated with this tool and you can change their priority as you wish. XWidget is popular for creative people and designers as it allows editing and creating different animations. It is very stable and it has top graphics. Windows desktop gadgets have been extremely popular in the recent years. These are small applications that work on your desktop computer and are also known as Windows gadgets or Windows Sidebar. Since a few years ago, Microsoft no longer supports uploading gadgets to their gallery, but the gadgets can still be obtained from other sources. If you are looking for free, useful and quality gadgets, we recommend you use the following 10 Windows desktop gadgets. All CPU Meter is one of the most highly valued and very popular gadgets you can find online. With this gadget you can check the usage of your processor as well as RAM usage, processor name, CPU frequency, and other things. It comes with different notifications, alerts and features that display all important information about your computer system. Battery Meter is perfect gadget to use if you want to monitor your computer battery. It clearly displays computer`s battery status, time and percentage remaining, charge rates, voltage, charge capacity and other useful information regarding the battery. Control System allows you to easily shut down, restart, standby or log-off your computer from the gadgets. A very easy and simple gadget for everyday use. Currency Metter allows you to monitor half a dozen foreign exchange rates for over hundred currencies. You can monitor the currency exchange market and get alerted when there are some changes going on. Drives Meter is helpful gadget with which you can monitor your SSD drives as well as HHD drives and flash drives. It will present you with information about used space on your drives and remaining free space, write speed, read speed, and other info. Earthquakes Meter is another useful and popular Windows gadget with which you can monitor all earthquakes in the world. The gadget displays the magnitude of the earthquake, its precise location, depth and time when it happened. GPU Meter allows you to monitor the graphics card of your computer. You will be presented with all information regarding the GPU such as usage, clock speed, temperature, memory, fan and other things. Network Meter quality gadget with advanced features. It shows you the external and internal IP addresses, strength of the network, blacklisted IP ratio, Internet speed, remaining data and total data usage, firewall check and info about your connection. Stock Meter is useful gadget for those that want to monitor the stocks, futures, index and mutual fund. It scans the market and searches for specific stock names. Weather Meter is great gadget for monitoring the weather in over three million towns and cities across the world. It displays low and high temperatures for the day, visibility, humidity, feel-like temperature, air pressure, wind direction and its speed, precipitation, cloud cover, sunrise and sunset times, length of day, moon phases and many more other options. This is by far the best free and most useful gadget for all weather buffs that want to be constantly informed about the weather. Windows gadgets can be very helpful and useful programs if you know which ones to use. They can run on Windows 7 and Vista operating systems and they are great because they can keep you informed and up to date with different important things. Some of them serve to monitor performance of your computer, while with others you can access your Facebook or Twitter profile. Installing a Windows gadget is not that hard if you follow a few simple steps. However, different gadgets require different installation methods, depending on the operating system where the gadgets are being installed. You should know that Windows XP, Windows 8 and Windows 10 do not officially support sidebar or desktop gadgets, but you can still find a way to install them. The first step is downloading the gadget file. When it comes to from where to download gadgets, you should know that you can find them on numerous download sites on the Internet. There are plenty of quality websites where you can get Windows gadgets for free. Choose the gadget you want, like gadgets for calendars, clocks, utilities, emails, organizers, games and many more. Next step is to execute the file you have downloaded. Gadget files can be opened very easily just by double-clicking on them to run the installation process. After you click on the install button you will get a message that the gadget publisher cannot be verified. This should not scare you because most gadgets today are designed by third-party developers and not by Microsoft, so this is a pretty standard message. This has nothing to do with security or privacy, so just click OK and move forward. However, you definitely need to have a good antivirus program installed, so you will prevent some harmful and malicious programs from being downloaded. Final step is to configure the settings. Different gadgets have different options when it comes to configuration, so go through this step slowly and modify everything necessary. You should know that by removing a gadget from your desktop, the gadget is not removed permanently. It still stays in the Windows operating system, but you just not see it on your desktop through a shortcut. If you want to bring back a gadget that you have previously removed from desktop, all you have to do is to right-click on the desktop and go to the Add Gadgets option. You will then be presented with available gadgets that you can put on the desktop. This was the short and simple guide for you to follow when you want to install some Windows gadgets. As you can see there is nothing complicated about it and the process is pretty straightforward. All you need to do is just press a few buttons and that is it. After you download gadgets of your choice, explore their options and make sure you use the most out of them.